Kateřina Zímová CooLAND, z.s. Collaborative Collective, z.s. 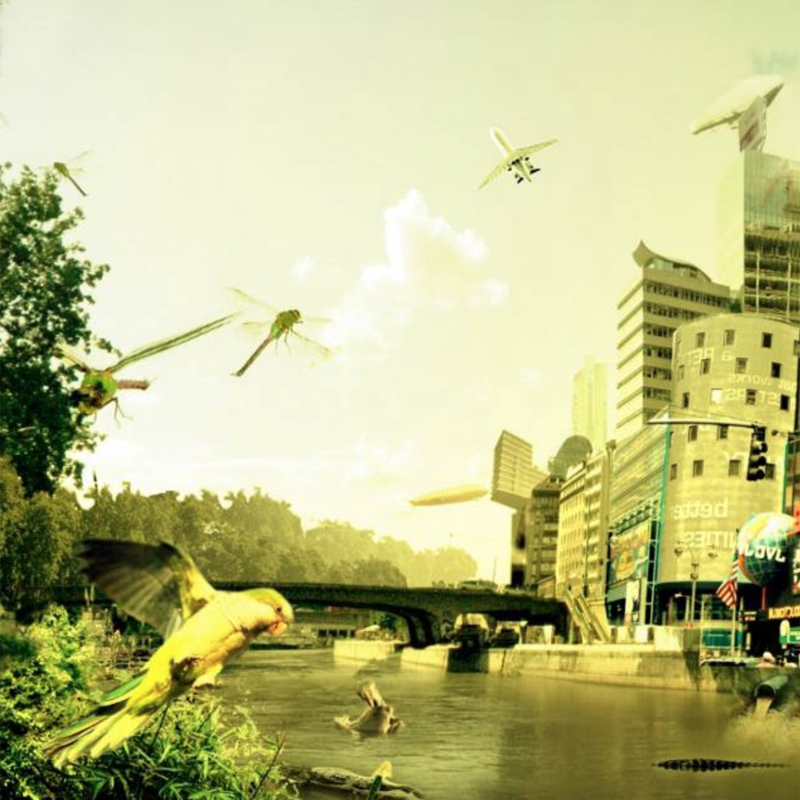 The mission of the present trans-disciplinary community environmental project COLridor (Davidová, 2017b) is to generate a situation of eco-systemic co-living across local species’ and abiotic agency in an urban environment through their co-design. Located in the city centre of Prague, the case study bio-tope is a part of larger bio-corridor that has evolved namely thanks to the adjacent railway and water stream. Though the prevailing opinion of European urbanists stays that cities should remain dense and separate from the rest of nature, landscape ecologists and biologists tend to disagree. There is no nature on Earth without human beings and these together evolved reflecting each other’s impact and interaction. A great variety of species have adapted and evolved for the urban environment that, at the moment for many, offers safer and more habitable living environment than agricultural land full of herbicides, pests, antibiotics and antibiotics resistant bacteria. Through systematically co-designed and co-created so called eco-systemic ‘prototypical urban interventions’ (Doherty, 2005), the project aims to motivate generation of edible landscape, social, cultural and habitable urban environment across the species. We claim that designers should be no longer designing for- but designing with- the overall eco-system. This case study helps to justify first author’s ratified design field Systemic Approach to Architectural Performance, covering fusion of variety of co-design across eco-system in process based fields. This is an extended, edited and updated article based on a working paper ‘COLridor: Co-Design and Co-Living for Sustainable Futures’ (Davidová & Zímová, 2017) for Relating Systems Thinking and Design 6 conference within the theme ‘Environment, Economy, Democracy: Flourishing Together’ (Sevaldson, 2017).